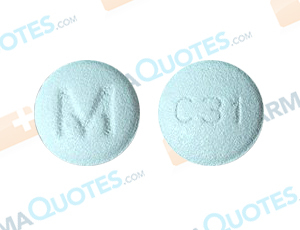 Carvedilol is a beta blocker medication used to treat high blood pressure and heart failure. It works by blocking the actions of certain chemicals, like epinephrine, on the heart and blood vessels. This and other drugs should be used under the direction of a doctor with a complete and current list of medications and medical history, including allergies. Patients who have had an allergic reaction to other alpha or beta-blockers or inactive ingredients commonly found in medications may have a reaction to Carvedilol. Patients should talk to their doctor before taking this medication if they have a personal medical history of heart rhythm problems, breathing problems, severe heart failure, liver or kidney disease, allergies that require epinephrine, hyperthyroidism, pheochromocytoma, heart problems, cataracts, glaucoma, or blood circulation problems. This drug may cause dizziness. Do not drive or operate heavy machinery until you know how Carvedilol will affect you. Patients may also experience drowsiness, diarrhea, impotence, or tiredness. If effects worsen or persist, notify your doctor. This drug may decrease blood circulation to hands and feet. This effect may worsen while using tobacco products. Serious side effects can occur when taking this medication and should be reported to your doctor, including signs of kidney problems, mental or mood changes, weakness, slow heartbeat, and severe blood circulation problems. Stopping this drug unexpectedly can cause serious and fatal heart problems. It’s important to follow manufacturer, pharmacy, and doctor’s instructions when using this and other medical products. General Carvedilol Warning: The above information is for informational purposes only and is not meant to be a substitute for professional medical advice, diagnosis or treatment. Please seek professional medical advice before starting, changing or terminating any medical treatment. Pharmaquotes is not offering medical advice, pharmaceutical recommendations or endorsing any specific prescription drug, pharmacy or other information on the site. Pharmaquotes provides no warranty or guarantee for any of the discount data, medication, or other information.